FYP: Top 15 winner in 2009. What did winning mean to you? It was the most amazing thing to receive the letter telling me I’d won – I really couldn’t believe it. I had been writing poetry all my life and was lucky to have a lot of support from my family and teachers, but it was the first time I had won any prizes for my writing. It really helped me take my writing beyond a hobby – and the Arvon course I won with Caroline Bird and Lemn Sissay gave me so much great advice that I’ve taken into my writing ever since. Did winning Foyle change your study plans? Absolutely – in fact, the day I received my prize, I received a call from UEA – where I ended up studying – offering me a place on their creative writing course. I had applied to do English Lit, as I didn’t think I was qualified to do the creative writing course. I’d planned on studying classics and going into academia, but receiving the offer from UEA meant I went there instead – and pursued a career in publishing because of that (as well as writing a lot more and performing a lot of poetry while I lived in Norwich, which was great fun!). Favourite poet then? When I won, my favourite poetry collection was Brian Patten’s collected love poems. I still have my copy, annotated and battered and very well-read. Favourite poet now? Recently I’ve enjoyed the work of Sierra DeMulder, Hera Lindsay Bird and Selima Hill – but I also find I’m always coming back to Mary Oliver. What are you up to now? 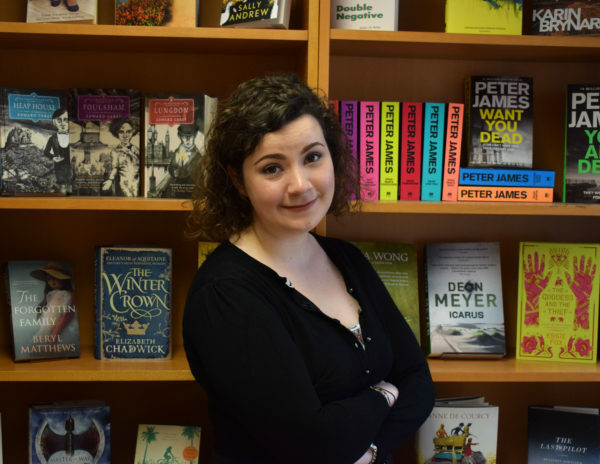 I’m now a literary agent at Blake Friedmann Agency, representing writers of women’s fiction, crime and thriller, young adult and children’s fiction, and some non-fiction. Recent books I’ve worked on include ex-Foyler Anbara Salam’s Things Bright and Beautiful (Penguin), a creeping novel set on a Pacific island in the 1950s; a fantastic and funny YA series by Rebecca Denton set in the music and television industry; and That Was When People Started To Worry by Nancy Tucker, a perceptive and unflinching examination of young women’s mental health. And I’m always looking for new writers – you can check out the Blake Friedmann website for more information on how to submit. Top tips for writers? Time you spend reading is as valuable as time you spend writing. Read as widely as you can and let yourself absorb a range of voices. Get an instinct for what you like and what you don’t. And remember, good writing is so subjective. It’s very easy to get sucked into a spiral of thinking that you’re just not good – but all that matters is that you can connect with that one reader at that one time, to make your writing worthwhile. That’s the same when you’re looking to get published – you’ll receive a lot of rejections, but you have to have faith that the right publisher, editor or agent will recognise and believe in your talent, and that’s worth holding out for. Any advice for Foyle entrants? It’s free to enter, so go for it! And don’t think you won’t win because your poetry is the “wrong type”, or try and write something similar to poetry that has won before. The poem I won with was something that – to me – felt like a complete longshot, not like the poetry I was writing or reading at the time. But I knew it meant something real – and the judges recognised that. FYP: Commended in 2006 and a top 15 winner in 2009. What did winning mean to you? It felt unbelievable at first – I didn’t know anyone who wrote poetry and it wasn’t particularly part of English lessons at school, so it felt like quite a rare, strange thing to be picked out for writing a poem! It meant that I kept writing – getting a bit of recognition, a bit of validation, was so important in giving me the impetus to keep going. Winning Foyle made me seek out poetry events and dare to send work out, winning a Northern Writers Award back in 2012. And while I haven’t always written prolifically or regularly over the years, I have always kept writing. Favourite poem then? My favourite poem when I was 16 was ‘The Story of the White Cup’ by Roger Mitchell (I still love it now). Favourite poem now? Impossible to say now who my favourite poem is, as it changes all the time depending on what I’m reading, but Tara Bergin’s last collection, The Tragic Death of Eleanor Marx, is one I keep returning to with awe. What are you up to now? For the past nine months I’ve been part of the TOAST poetry collective, which has been brilliant. We’ve been tutored by Hannah Lowe, Kayo Chingonyi and Michael Symmons Roberts, and that experience has had such a positive impact on my writing (which I had been starting to neglect a bit). I’m sending out more work and being published, which feels fantastic, and I’m slowly starting to work on bringing a pamphlet together. 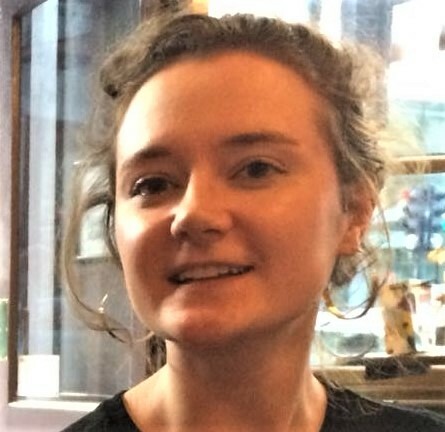 I also work full time as a Development Manager for a social justice charity – although I am just about to move to the Netherlands, which will be an entirely new experience! I’m looking forward to getting involved in the Dutch poetry scene. Advice for poets? Write for yourself first and foremost, and worry about other readers and audiences later. I’d tell a younger me that it’s OK to let other people read your work – they’re not going to laugh at it. Tips for Foyle entrants? Just do it! 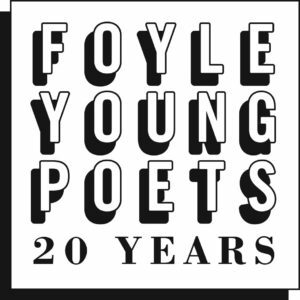 The Foyle Young Poets of the Year Award is an opportunity for any young poet aged 11-17 to accelerate their writing career. Since it was founded in 1998 the Award has kick-started the career of some of today’s most exciting new voices. This year the Award celebrates its 20th anniversary, with lots of exciting activity throughout 2018. Each year 100 winners (85 Commendations and 15 Overall Winners) are selected by a team of high profile judges, this year Caroline Bird (herself a former winner) and Daljit Nagra. There are loads of exciting prizes up for grabs, including publication, mentoring, poetry books and long-term support from The Poetry Society. Teachers can also access free teaching resources. Find out more.